President Rodrigo Duterte on refusal to take luxury gifts: "My birthday is coming up. Do not give me the gifts... Who would believe me if I talk about corruption then I wear a Rolex?" President Rodrigo Duterte revealed that he was given a Rolex watch as an advance birthday gift from an unnamed personality. 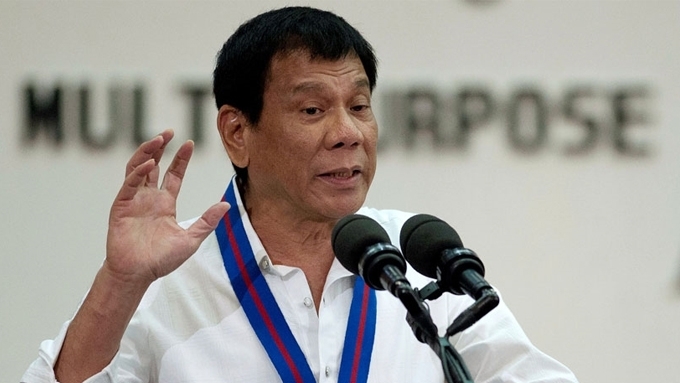 At the 31st Biennial Convention of Federation of Filipino Chinese Chambers of Commerce and Industry Inc. (FFCCCII) yesterday, March 25, President Duterte explained why he dislikes receiving luxury gifts for his birthday. "My birthday is coming up. Do not give me the gifts. "Somebody gave me a Rolex watch, gold, in advance. I returned it. He does not want to accept it. "Now, who would believe me if I talk about corruption, then I wear a Rolex?" According to the Salary Standardization Law IV signed by former President Benigno Simeon Aquino on February 19, 2016, a president's monthly salary is PHP 160,924. Back to his expensive gift, President Duterte elaborated, "You think I can afford a Rolex? “That’s why I’ve been complaining also of my salary. “That is really what happens if you have two wives,” he said, eliciting laughter from the audience. The former Davao City mayor further underlined that he has long since discouraged gift-givers from giving him expensive gifts. Back when he was still a mayor, he recalled that he would rather ask for rice donations for certain beneficiaries. In another engagement last March 12, President Duterte revealed that he got a Mercedes Benz from an unnamed gift-giver. He said, "Hindi ko tinatanggap, lagay ko lang diyan. Interesado ang sinong taxpayer, bilin mo sa gobyerno, ipagbili ko." Why does President Duterte refuse to receive luxury gifts? He explained, "Simple lang. Common sense na iyan. Oras na tinanggap mo iyan, graft, because of the amount. Kung ballpen, tanggapin ko talaga."